Removing local administrative privileges is the most effective way to protect endpoints from attack, with immediate, measurable benefits. Implementing and enforcing a least privileged security posture takes planning, collaboration, and tools that make life easy for security, IT, desktop support, and users. Not every least privilege solution gives you the flexibility and control you need to be successful. Make the right choices for your organization. 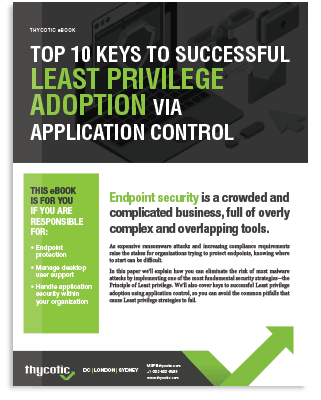 Read the report and get all of the keys to least privilege success.